At ADAPTIVE SYSTEMS’ core, is a culture of software engineering excellence. 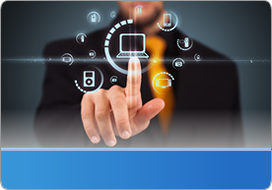 Our modern software solutions are built to be an exact fit for your needs today and tomorrow. Solutions are designed to be flexible, compliant, and easy to change in response to evolving policy and market demands. Whether it governs your communications, transactions, security, tracking or production, our solution will give you faster response times to market opportunities and threats. As a leading producer of revolutionary software solutions, ADAPTIVE SYSTEMS realizes how critical it is to have business domain knowledge. Too often software programming begins with an idea and without an understanding of the real needs or desired end results. E.g. Lack of requirements. Our teams design and develop industry-focused software solutions to help organizations meet their unique business goals. What makes ADAPTIVE SYSTEMS so compelling…..
An understanding how to keep one foot in the ones & zeroes world of high quality code development and the other foot in the world of business process expectations. Giving precedence without checking the other for accuracy, can cause dramatic turmoil … but getting these worlds in harmony can produce epic results! The point: Provide the right information, to the right person, at the right time……however, who can you trust to produce the results, on-time and with a fixed price? To meet our dedicated team and get started down the path of success, call us today at (317) 806-6421 or Get started right now. We specialize in high quality software and e-Business solutions, with customer satisfaction as our number one goal. Copyright 2013 Adaptive Systems, Inc. All rights reserved.